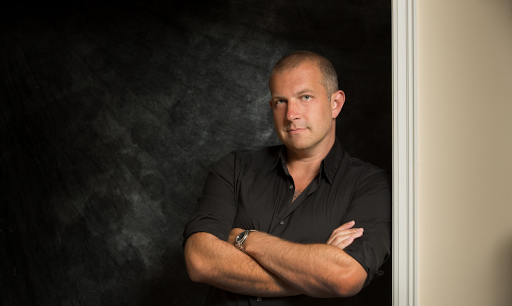 This week, find out more about the book MONSTERLAND in an interview with its author. 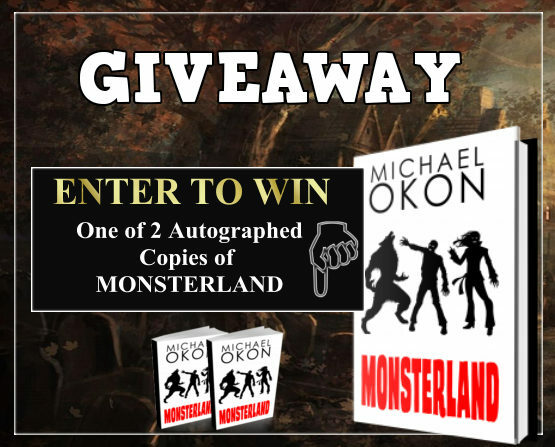 We’re thrilled to host Michael Okon’s MONSTERLAND Blog Tour today! Leave a comment below to enter the book giveaway! I’ve been writing since kindergarten but I really started ramping up writing when I turned 15. Really, it was watching movies and wanting create stories with unforgettable characters that did it for me. I began writing screenplays in college, then a while later, I turned them into self-published novels. I became a published author at 39. I love writing in Young Adult Thriller & Suspense. It keeps me fenced in (which I like) from being too gory for the tweens, but it allows me to write just a bit of gore for the teens and adults. I grew up on Michael Crichton, he was a huge inspiration to me. I am also a sucker for self-help books and screenplays. I can say Blake Snyder and Sid Field are my heroes for screenplay books. I also love Napoleon Hill and Joseph Murphy. I’m also a Joseph Campbell junkie. I love creating a universe. It truly is an creative medium that what you think pours out of you on the page. If you’ve ever read books on the Law of Attraction and Success, writing stories goes hand-in-hand. I love that I can invite a reader into a universe I created. Nothing in particular. I think it’s as challenging as you make it. If you want it to be hard, you can certainly make it difficult. However, if you’re optimistic, the time will fly by while writing. I have made a playlist for every season of the year since I’m 15 years old. Create a list of music, download it, and listen to it when driving. You will almost always get that little nugget of information you were looking for. Then get back to writing. Music will stir your soul, and it will get the creative juices flowing again when you experience writer’s block. Get a good team behind you. You cannot do everything yourself. I have a literary agent, an entertainment attorney, a film agent, a publicist, a wife, a brother, and a mom who all help me with my career. Don’t think you can write, blog, post to social media, and be ready for interviews. You have to have people help you create schedules, help you post, help you create video trailers. You are nothing without a good team. There a many layers to Monsterland. 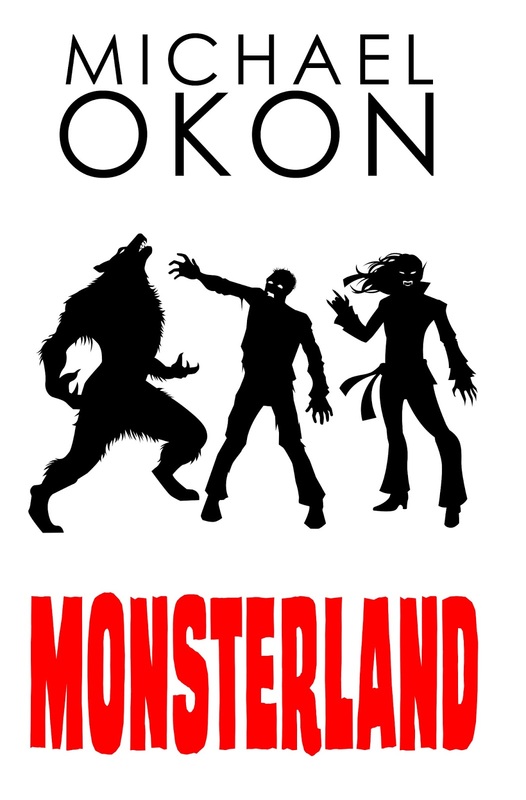 Yes, on the surface it’s a story about a teen who must face his fears and save his date in a theme park with real werewolves, vampires and zombies. Underneath this top layer is a story of political corruption, bullying, stepfather/stepson relationships, worshipping false idols, racism, consumerism, being comfortable in one’s own skin, and of course, fear. 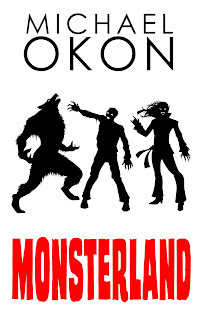 People will see that we are all living in a theme park for Monsterland. I’m a big vision board guy. The following is what I put on my vision board last year. Get a literary agent, get an entertainment attorney, get a film agent, get a two-book publishing deal, get a movie deal for my book. I accomplished everything on my vision board. The last item – the movie deal – is in the works. As for future goals, I have completed Monsterland 2, which has a release date of May 26th, 2018 (my 40th birthday). I’m in the middle of Monsterland 3 – I’d like to get this published too. I’m also beating out the storylines and arcs for Monsterland 4 and 5. It seems that I’m going to be writing about monsters for the foreseeable future. and Wyatt thinks he doesn’t stand a chance. werewolves on the Werewolf River Run, and walk among the dead in Zombieville. attractions, what could possibly go wrong? on the idea of entertaining people through unforgettable characters. Long Island with his wife and children. will be chosen via Rafflecopter to receive a copy. be contacted via email on December 30.